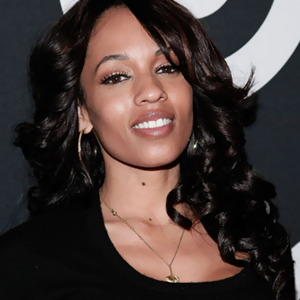 I was recently on Essence's website when I ran across a very scathing article by Janelle Harris as to why famous video vixen, Melyssa Ford, should not be a role model to young girls. This is the same Essence Magazine that put Steve Harvey on the cover and crowned him a relationship guru, but yet Melyssa Ford is persona non grata. I guess God ain't through with Steve, but he/she can't do anything to change Melyssa. Now don't get me wrong I'm not a Melyssa Ford apologist. I'm just not one of those people who sits in my ivory tower and think I can look down my nose at someone because she made choices in her life that I may not would have made in mine. I'm just not one of those people. I'm not judgemental towards people especially my sisters and yes even a video vixen is still a sister to me. It just amazes me how judgemental we are towards one another. Instead of Janelle talking to Melyssa and asking her why she made the choices in life that she made, she chose to skewer her on a website that is supposed to celebrate and put black women first. She can tear down Melyssa, but yet have Alicia Keys on the cover. I'm not judging Alicia, but the hypocrisy is startling. It's okay for Alicia to be a role model, but not Melyssa. Please help me out with this one. We (black women) got all up in arms when a dude of Japanese decent took to 'Psychology Today' and wrote about how black women are the 'least attractive', but if you were to take a gander at some of these blogs you'll realize that we are some of the biggest perpetrators of spirit assassinations when it comes to our fellow sistas. We rip each other up at every chance we get. If a woman doesn't fit what we think is a chaste-virginally-feminist-natural hair wearing-weave wearing-dashiki wearing-Louboutin stepping-college degree toting-bible thumping-'S' on her chest model then we have absolutely nothing but utter contempt for her. She is not worth our time thus we must shun her. We don't need other people tearing us down, we do a mighty fine job of it all by ourselves. We are the ones that when a sista walk in the room we have to size her up instead of just offering a smile and saying hello (don't act like I don't know what I'm talking about). We are the ones that talk about how nappy someone's weave is or how if a person is in an outfit that doesn't fit our virginally views that she must be a streetwalker or a stripper. That's not Mr. Kanazawa, that's us. I hate to come across as cynical but maybe one of the reasons we're so mad at Mr. Kanazawa was because he was treading on our territory of tearing us down. We obviously don't need any help in that department. We have that covered. "Live without limits" is part of Essence brand messaging. I guess that is not for all women just some. Essence has been disappointing ever since Susan L. Taylor left. This article would have never been published if Ms. Taylor was still running the show, it seems like they have join the rest of the country in telling Black Women that they are nothing and are never going to be nothing. Instead of encouraging and building Melissa up, they managed to tear her down. Essence you must do better.... And by the way, What's up with the music festival and that tired a&& line-up?